To answer these questions I work on pure and applied topics in biodiversity and conservation, spanning the fields of biogeography, conservation planning, conservation psychology and urban ecology. Much of my work is interdisciplinary, focusing on the interactions between people and nature, how these can be enhanced, and how these relationships can be shaped to converge on coherent solutions to the biodiversity crisis. 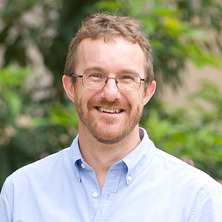 Recent research topics include predicting the consequences of urbanization on biodiversity and human quality of life in south-east Queensland, investigating patterns of contagion in global habitat destruction, working out how best to expand Australia’s protected area system, and achieving the conservation of migratory shorebird populations. Journal Article: What are the benefits of interacting with nature? Journal Article: How should we grow cities to minimize their biodiversity impacts? Brisbane City Council Biodiversity Monitoring Framework Peer Review. Final Report Prepared for Brisbane City Council. CSIRO, Brisbane. Megapodes: status survey and conservation action plan 2000–2004. Edited by René W. R. J. Dekker, Richard A. Fuller and Gillian C. Baker Gland, Switzerland: International Union for Conservation of Nature and Natural Resources (IUCN), 2000. Partridges, quails, francolins, snowcocks, guineafowl and turkeys: status survey and conservation action plan 2000–2004. Edited by Richard A. Fuller, John P. Carroll and Philip J. K. McGowan Gland, Switzerland: International Union for Conservation of Nature and Natural Resources (IUCN), 2000. Pheasants: status survey and conservation action plan 2000–2004. Edited by Richard A. Fuller and Peter J. Garson Gland, Switzerland: International Union for Conservation of Nature and Natural Resources (IUCN), 2000. Final Report: Migratory Shorebird Monitoring – Understanding Ecological Impact (CA12000284). Report produced for the Ecosystem Research and Monitoring Program Advisory Panel as part of GPC’s Ecosystem Research and Monitoring Program. The inequity in climate change? : How unfair is that? Erratum to: What is the role of trees and remnant vegetation in attracting people to urban parks? Should we implement monitoring or research for conservation? Why are we still using a 'One size fits all' philosophy for systematic reserve planning in Australia? Between-year changes in the wintering sites of Ruddy Turnstones Arenaria interpres: a response to diminished food resources? What does IUCN species action planning contribute to the conservation process? Is the current protected area system adequate to support viable populations of forest Galliformes in eastern Asia? Recovering the Critically Endangered Far Eastern Curlew: What is the migration route? Note for students: Professor Richard Fuller is not currently available to take on new students. How do experiences of nature determine environmental attitudes and values? Biodiversity, conservation priorities and the triple bottom line: Can these conservation principles be applied in a developing nation? Are migratory birds more threatened than non-migrants? How do herbivorous mammals adjust their trade-off between food and safety?